Donald is using Smore newsletters to spread the word online. Stone like living things, resting on the ocean floor, rough back, opens its mouth to leed the main prey into the death of this creature. 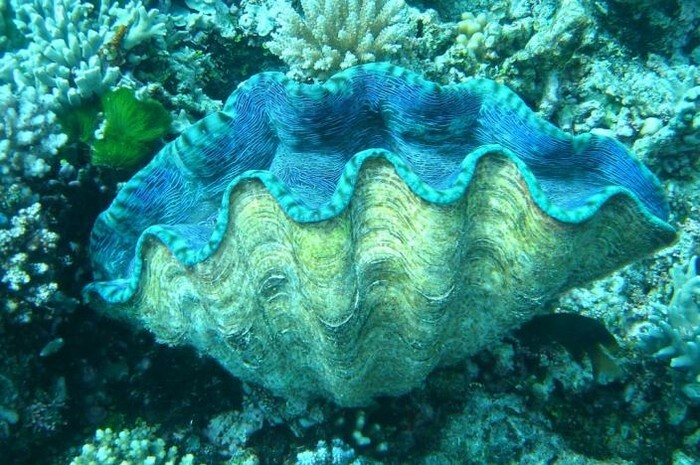 This is a clam or the Giant Clam’s amazing habitat, body structure and the diet of the clam is important to the surrounding nature. On the shallow ocean floor where this animal lives, a mythical creature sits in rest. The calms are anchored in the coral reefs in the warm tropical waters of seas. Mostly in the Indian and Pacific oceans. These organisms live in the sandy, muddy bottoms, underwater. The question is why do they live there? Well, that is because, they are protected by the wave action. What type of water do they live in? More than 15,000 species exist, although only 500 live in freshwater water. And, once they find a nice place to stay they live there for the entire lives. Clams can weigh in different sizes and shapes and their beautiful colors on the shell. The size of this creature ranges from 0.1mm (0.04 inches) to 1.2 meters (half the size of a fully grown man) across the giant clam. Some of these heavy organisms are 500 pounds (277 kilogram). Not only that, but, clams can be green, red, blue, yellow, orange, brown, and pink. So really it can be any color. Clams special features such as large zig-zag shapes are beautiful things about the Tridacna Gigas (scientific name). The diet is very important to this nature and the clam. The enormous creature are omnivores, therefore they eat a mixture of both plants and animal matter. The main source for the clam is the nutrients produced by the alge. 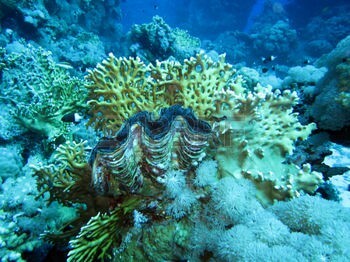 Giant Clams, are also known to eat small food particles and animals that are present in the surrounding water. Food particles that are in the water are collected and sorted internally (existing), and eventually placed into its mouth, (internal). It’s hard to believe, but, clams filter the water. So if they are hunted the water will be polluted. Resting on the shallow floors making a comfy home sweet home it is important to remember their habitat, body structure, and the diet of this clam. I hope this stone like living thing will forever be protected.